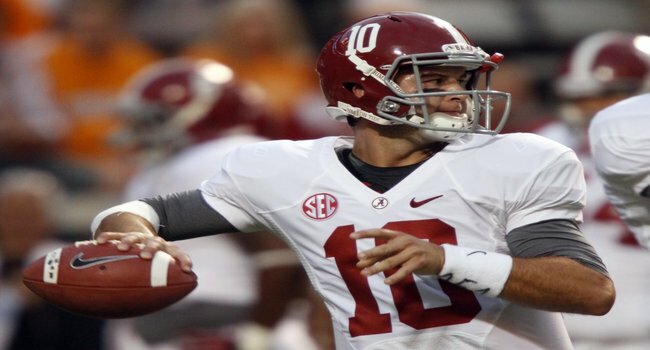 McCarron showed he is much more than just a 'game manager' in the win over Texas A&M. Alabama is Not Invincible despite Win. Look, Alabama is very, very good and quarterback A.J. McCarron is not appreciated nearly enough for being more than a ‘game manager.’ The problem is that Alabama’s defense has some issues, especially in the secondary. Other teams will be torched by Johnny Manziel but the Aggies exposed not only the secondary but also the lack of a big-time pass rusher for the Tide. Because Bama proved they could score at will with Texas A&M, they will mask the deficiencies on defense, but make no mistake; this is not the Alabama defense we are used to seeing. Nick Saban will find ways to mask certain issues, but only to a certain extent. Either way, the Tide took a huge step towards another SEC title game appearance with the win. Akron gave the 11th ranked Wolverines everything they could handle. Michigan Survives Major Scare at Home. I can tell you first-hand how crazy close Michigan was to losing to Akron because I was there in the Big House. The crowd was flat and so was the team and the Zips took advantage of several Wolverines’ miscues to stay in the game. Keep in mind this Akron team has not won on the road in 28 straight games now. Despite the struggles of QB Devin Gardner who accounted for four turnovers, the Wolverines still managed to take the lead with two and half minutes to play but Akron wouldn’t die. The Zips faced a third and one from the Michigan two yard line with under 15 seconds left. A toss sweep failed miserably and was followed by a timeout. On the fourth down the Zips chance at glory escaped as the ball fell to the turf on a desperation pass. Michigan was clearly flat following a huge a night game win over Notre Dame the Saturday before. Even the Irish were flat for most of their win over Purdue. The lesson learned for Michigan is simple. You cannot take anyone lightly anymore regardless of poor they may be. Akron was a 37-point ‘dog coming in. Bizarre is the Only Word for Badgers’ Loss to Arizona State. Wisconsin traveled to the desert to face the Sun Devils Saturday night and despite a defense that was gassed by being on the field for 92 plays, the Badgers still had a shot for game-winning field goal. Well in field goal range and with no timeouts left, Badgers’ QB Joel Stave needed to only spike the ball to stop the clock and bring on the field goal unit. Trailing by two, the Badgers were going to have a chance. Inexplicably, Stave moved to his left and then placed the ball on the ground rather than spike it. The clock kept running and before the Badgers’ could stop the clock it expired. What happened? If it was ruled a fumble? Why didn’t Arizona State take over? If it was an incomplete pass, why didn’t the clock stop? Should Wisconsin run the table the rest of the way, not easy by any stretch, this bizarre finish could come back to haunt them.